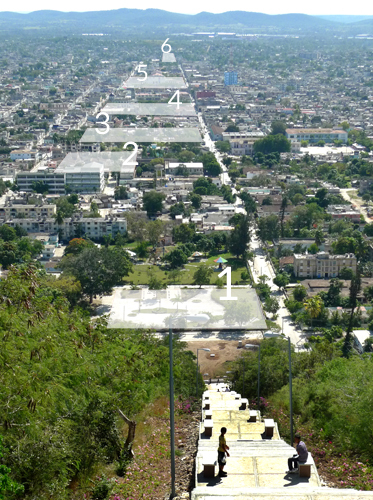 This is another of six squares in central Holguin. #5 on a map bellow. 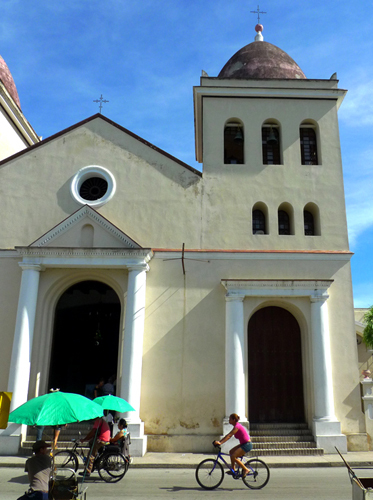 It was the first one in the city laid out around church of San Isidro in 1720. 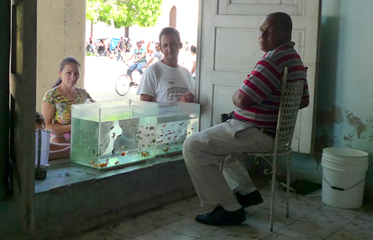 Peralto is worshipped and considered the most important square in Holguin City. Parque Peralto is also called "La Periquera". It is believed to be related to the war of independence of Cuba. During the attack members of the Liberation Army closed some Spanish soldier in the building still standing to this day on the square. One of the liberators screamed: Leave the cage, parakeets!, in allusion to the strong colouring of the Spanish uniforms. This way the property is still known as La Periquera (Parakeet Cage). 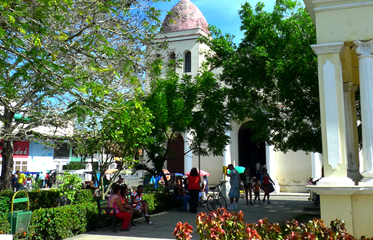 The first building of The Cathedral of San Isidoro was blessed April 3 of 1720 on this square in Holguin City. It was promoted to the range of Cathedral in 1979 and consecrated in 1996. Its Moorish interior have the very attractive original wooden roof in the Mudejar style. 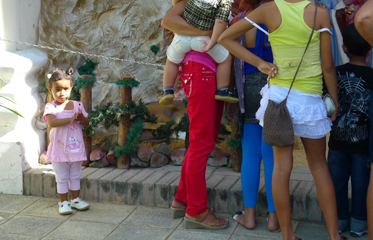 As mentioned before we were lucky to visit Holguin and this church day after Christmas. Square was full of beautifully dressed people, there was a very richly decorated nativity scene near the church, all stores open, happy people occupying seats under mature trees, street vendors in full swing, restaurants full of locals [and few tourists]. Inside a cathedral of San Isidro we were very politely approached by the person, speaking perfect English, asking if we need any help about this information about this oldest and most important church. 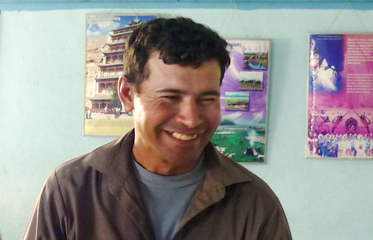 He helped us and on our question about who he is, his answers was, oh, I am an English teacher. Did you traveled anywhere abroad and learned the language? Yes, in my imagination. It turned out that he is also a poet writing poetry in English!? I am making exception here and including his poem in the right column and his photo at the bottom left, of this very happy and interesting person. He more that deserve his spot here. without having to stop in Mars. actually there is a huge gap. then there will be a new word. of putting ignorance behind bars.